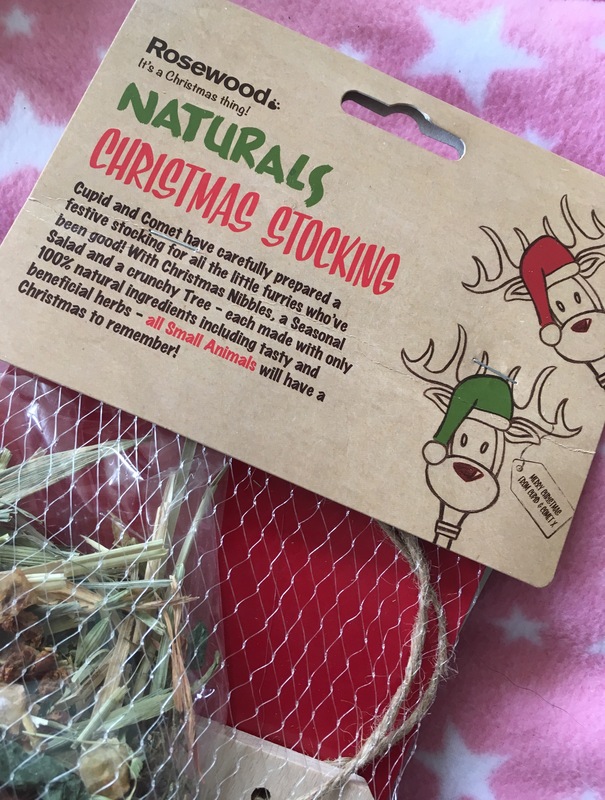 Today we are reviewing Rosewood Naturals Christmas Stocking. 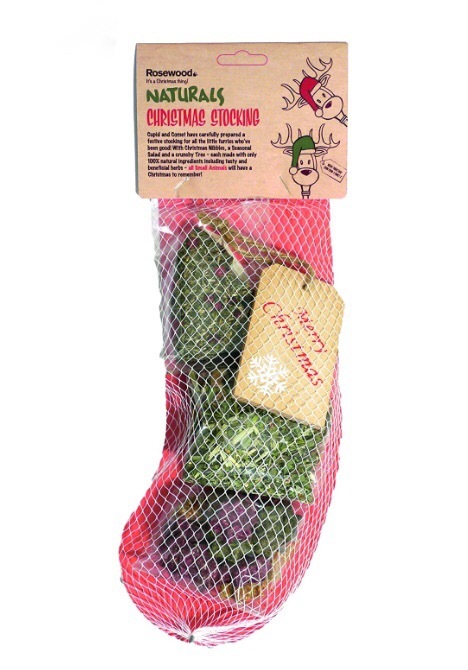 A festive stocking shaped net of tasty treats for small animals. Christmas Herbs: A herb based “salad” including parsley, lemon balm, peppermint and star anise. 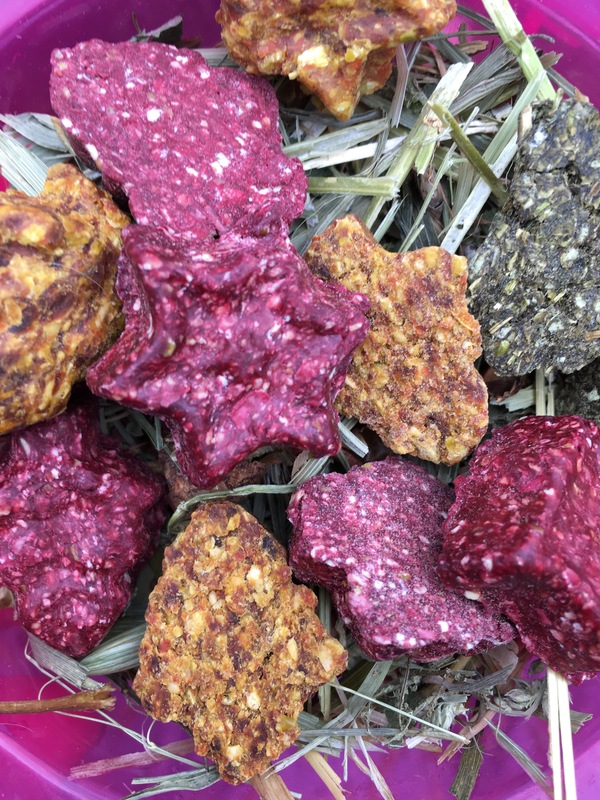 Christmas Nibbles: Festive shaped treats including beetroot, ribwort, red clover and carrot. Grain-Free Tree: A Christmas Tree made from vegetables, grass seeds and herbs. A wooden ‘gift tag’ Christmas Decoration. (Humans could steal the little decoration…). Where can I buy a Rosewood Naturals Christmas Stocking? Online at Amazon or Barks and Bunnies. Some supermarkets including Waitrose Pet. 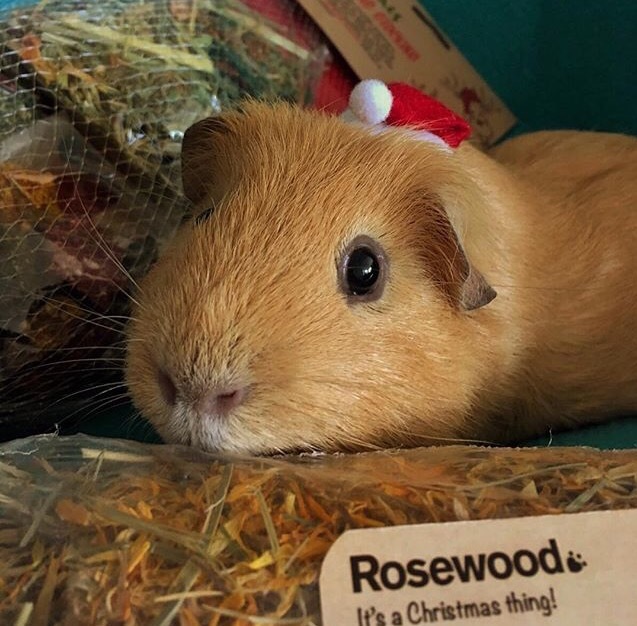 I was really excited to see that Rosewood had made a Christmas Stocking for small pets. 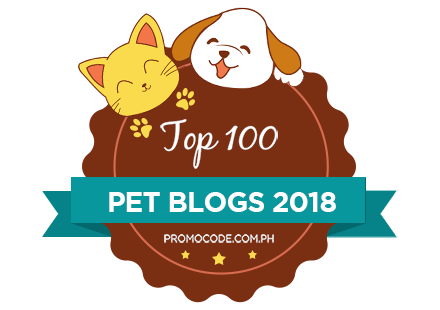 For too long dogs and cats (and humans…) have had all the fun. The Stocking packaging itself is a good size and snacks inside are generous portions. 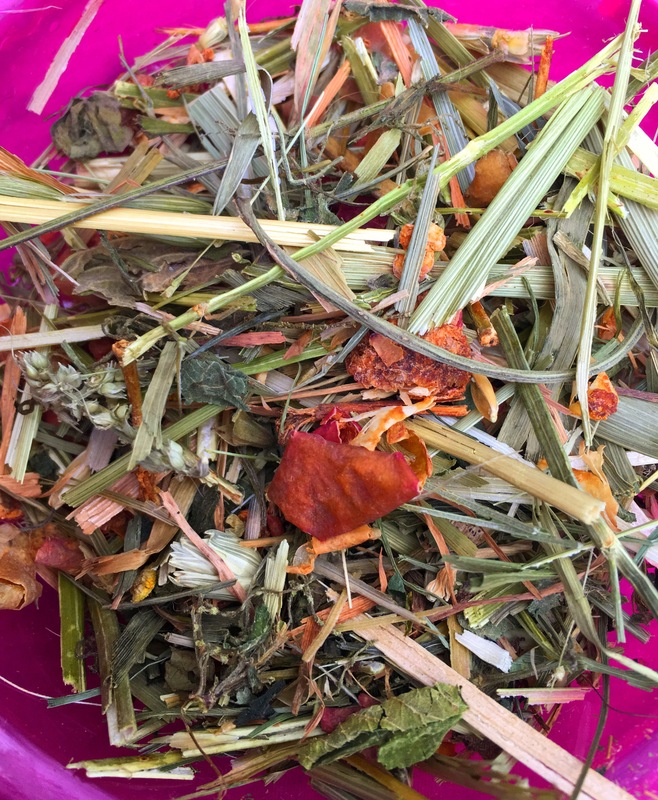 The Christmas Herbs are a wonderfully diverse mix, with everything from green hay and parsley, to peppermint and even star anise. The Christmas Herbs look clean, colourful, dustfree and very appetising. 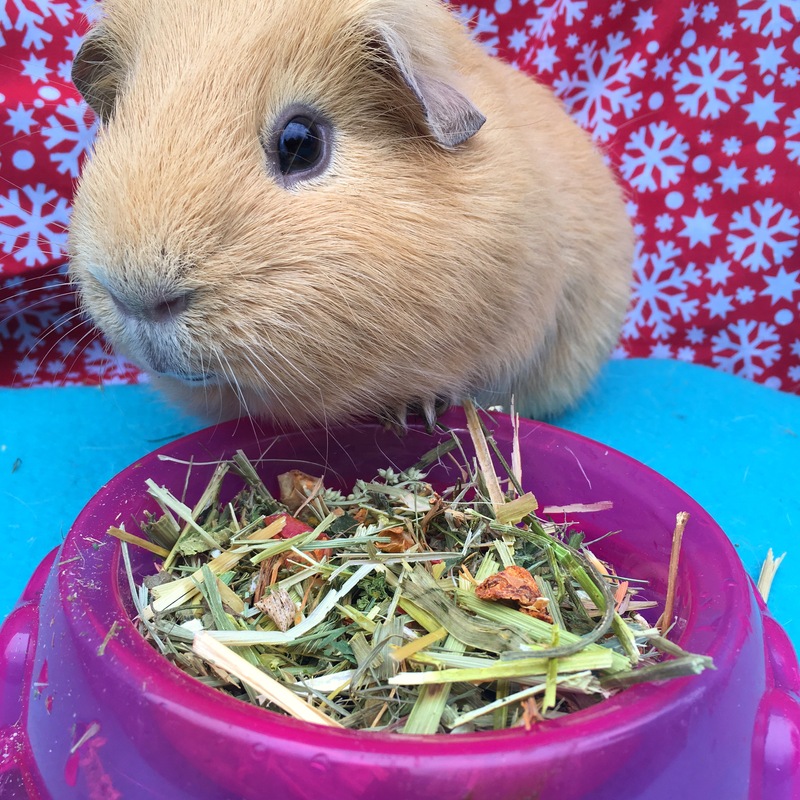 The fibre in the hay; will of course help keep your Guinea Pig’s teeth and digestive system healthy. Which makes it probably the healthiest thing you’ll find in a Christmas Stocking. The Christmas Nibbles are bright, bold, and fun. With their bright colours and fun festive shapes it’s hard to believe they are 100% natural, but they really are. You won’t find any chemical nasties in these treats, instead they are flavoured and coloured by their veggy and herb ingredients. 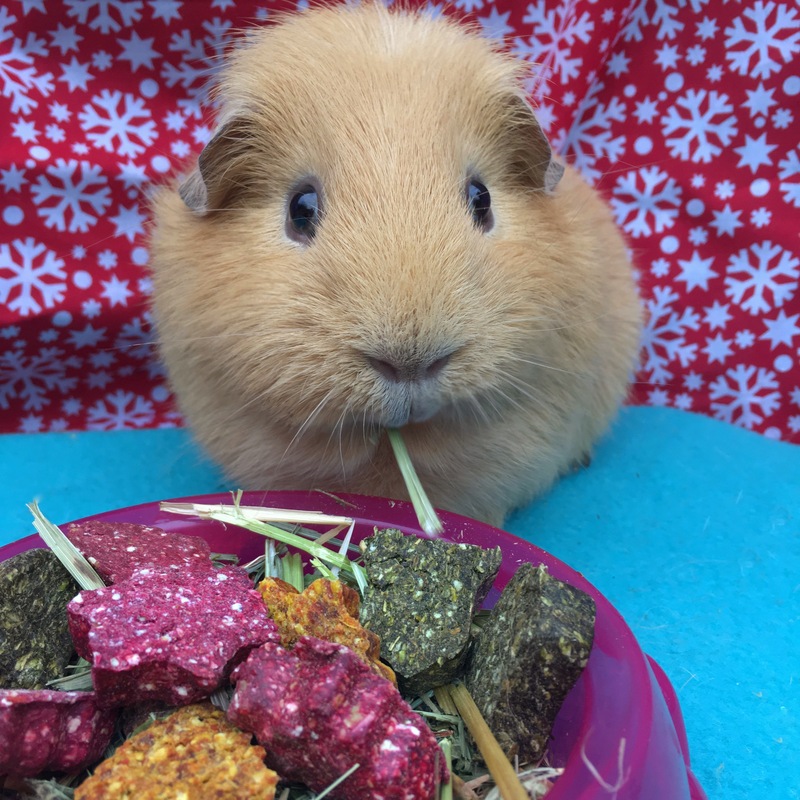 The Christmas Nibbles had quite a hard texture which presented a bit of a challenge to the Squidgypigs. This challenge is good for them (despite what they may think…) as it provides a boredom busting activity and also helps keep their open rooted, ever-growing teeth in shape. The Grain-Free tree is a fantastic festive addition to the Rosewood Naturals Christmas Stocking. Like everything else in the Rosewood Stocking; this cute little tree is 100% natural and 100% edible. My daughter Squidgygirl (4 years old) was particularly enchanted by the fact that the cowberries and grass seeds look like baubles and lights on the tree. 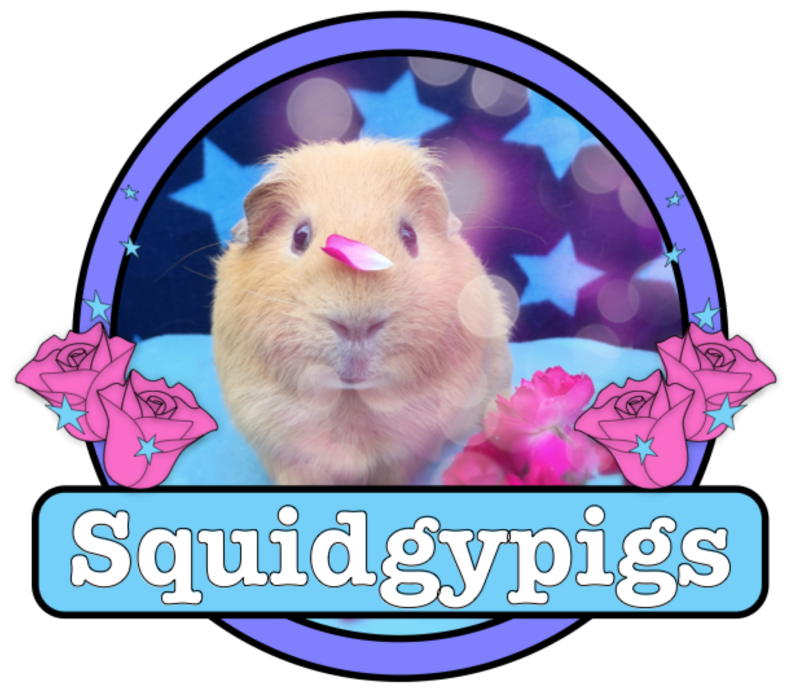 This was also the Squidgypigs favourite part of the Stocking. It was very eagerly devoured. The Wooden Decoration Chew is a lovely inclusion that adds longevity to the Rosewood Naturals Christmas Stocking Christmas. 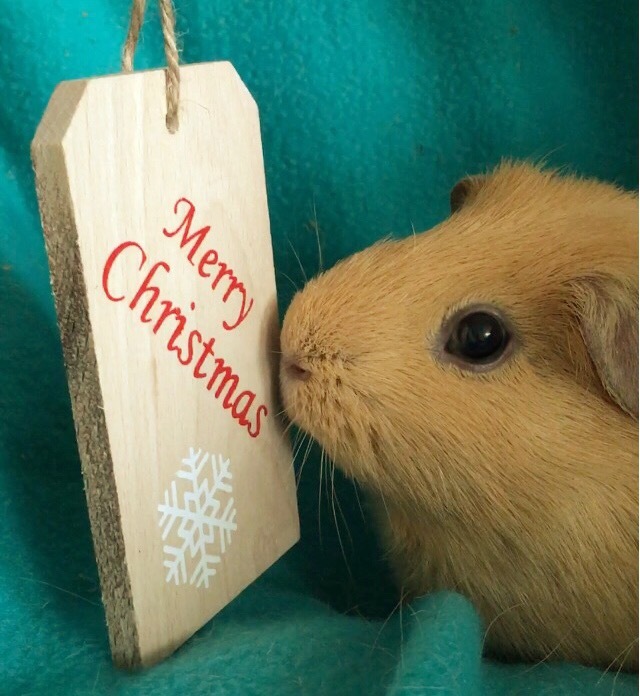 Sure to be a hit with both Guinea Pigs that love to chew and anyone who wants to add Christmas cheer to their pet’s home. 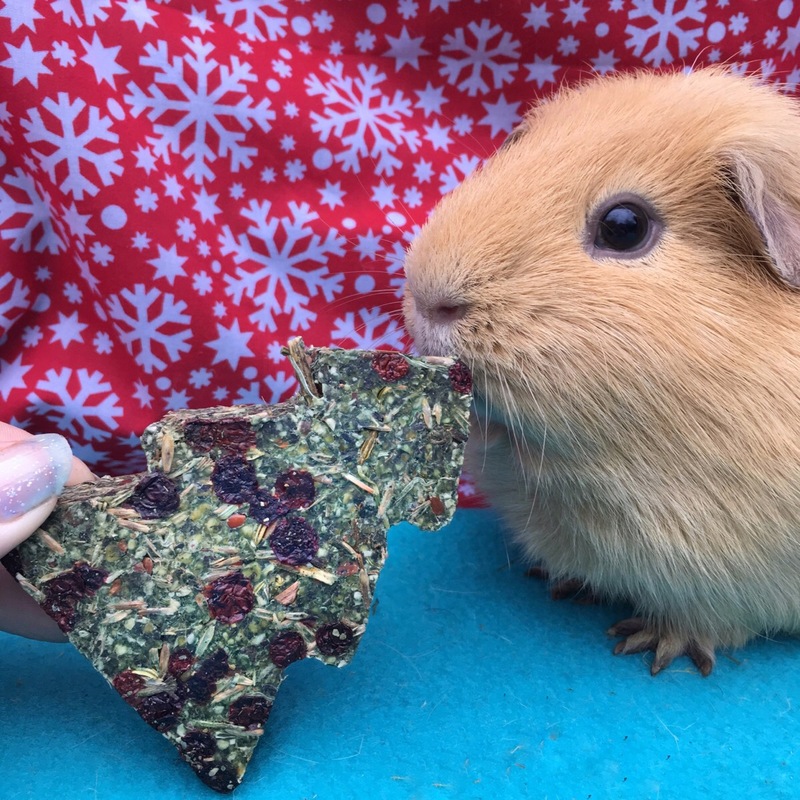 The Rosewood Naturals Christmas Stocking is a fabulously fun idea and a lovely way to include your Guinea Pigs in your Christmas celebrations. 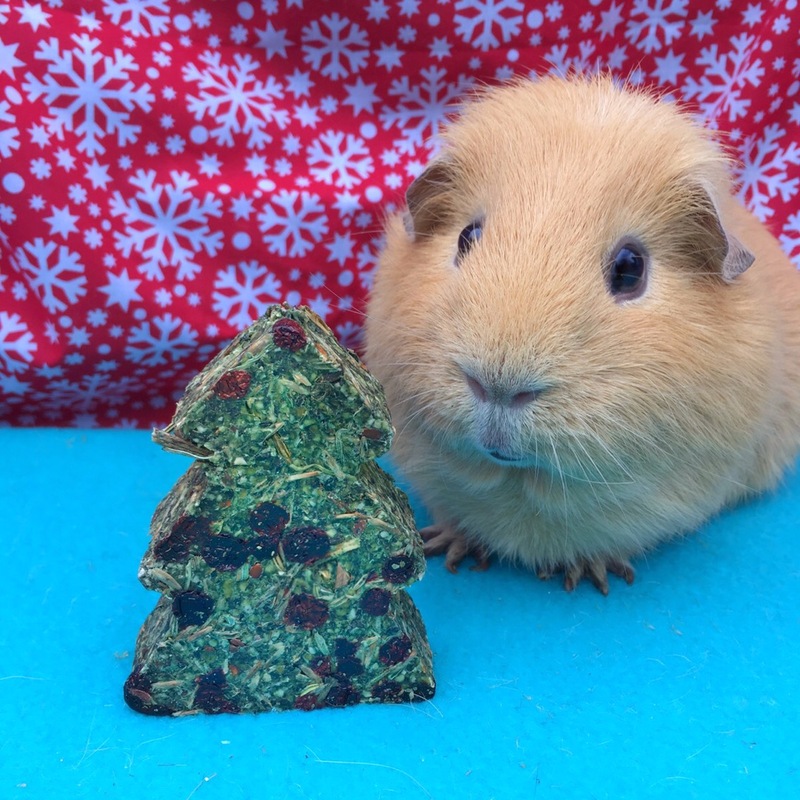 For the small price of the Stocking you receive four fun items that your Guinea Pigs are sure to love. Please note: Rosewood sent us this Stocking to review. If you would like to know more about Rosewood you can visit their site here.